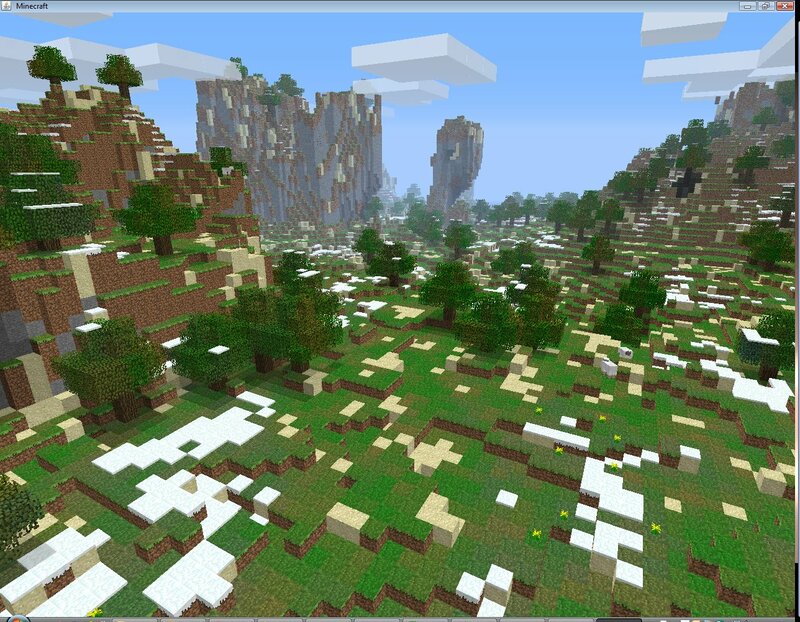 Biome Terrain Mod (Forum thread) , created by Bucyruss of the Minecraft Forums, is a biome/terrain mod for allowing you to adjust a number of settings to get custom worlds how you want them. I'm constantly playing with the code and trying to find new things to adjust, but if you have any requests please let me know and I'll see what I can do. I'll try to keep a to-do list up to date in this post so people will know what I have planned to implement and can make suggestions based on that. 5 Explanations of the settings from "biomesettings.txt"
6 Explanations and examples of the settings (default values shown) from "depositsettings.txt"
For now you will have to manually edit the "biomesettings.txt" and/or the "depositsettings.txt" file with any text editor. Simply open the "biomesettings.txt" and/or the "depositsettings.txt" file and enter in the desired values (See below for an explanation of each setting). Every new world you create will use the "biomesettings.txt" and the "depositsettings.txt" file in your .minecraft folder as it's basis. Change the settings/values in this file before making a new world if you want the world to have those values by default. Once created, every world will have its own copy of the "biomesettings.txt" and the "depositsettings.txt file inside it's save folder. If you want to alter settings after a world has been created then you will need to edit the file found in that world's save folder. Explanations of the settings from "biomesettings.txt"
Here's an explanation of each setting. Default values are shown. This value determines the size of the biomes. The larger the number, the larger the biomes. Conversely, the smaller the number, the smaller the biomes The number seems to function on a linear scale in terms of biome dimensions. Therefore, every doubling of this value will, roughly, double the average length and width of biomes. This determines the minimum moisture value that the world will contain. This determines the maximum moisture value that the world will contain. This determines the minimum temperature value that the world will contain. This determines the maximum temperature value that the world will contain. These settings let you change the threshold at which snow/ice will form. Lower the values (into negatives) to make snow and ice less common (setting it to -1 should ensure that no snow/ice will form) and raise them (up to 1) make snow and ice more common. This alters the level at which water will be generated. Lower the value to generate lower (less) water levels and increase the value to flood worlds. This is a modifier field rather than a straight value field. Adjusting the value up or down (negative) from zero will either increase or decrease the average, maximum height of the world. Basically, when the world begins to increase in elevation this value will determine how much, on average, it will increase before leveling off. Setting this value negative will have the opposite effect and create a world broken by many bodies of water. This is the same as AverageHeightMax except it applies to the depth of oceans mostly. Increasing this value will create deeper, larger water bodies (oceans mostly) and result in an island type world. Setting the value to negative will shallow/reduce the water in the world or cause it to disappear completely by setting the negative value large enough. A negative value, basically, inverts water bodies into land. These are multipliers that control two settings that seem to act in some capacity at controlling the rate of elevation changes. Using smaller values (0 to 1) will create "calmer" landscapes while higher values (above 1) will create increasingly fragmented/fractured landscapes. There are some good balances with these that allow some neat landscapes. These are a bit odd/difficult to try and explain and the names may not even be right for what they are actually for, but it's the best I could come up with from observing their effects on the landscape. There's two volatility settings with their own weighted values which let you pick how pervasive you want chaotic, volatile landscapes to be. Increasing the value of VolatilityPrimary and VolatilitySecondary form 0 toward 1 (values over 1 automatically get reduced back to 1) will create ever more volatile landscapes. You can set the value of either of these fields to any negative value to create increasingly flat terrain. The two "Weight" settings let you choose how pervasive (values 0.0 to 1.0 and the sum of both should be equal to or less than 1.0) their corresponding volatility values are. So you could set the primary to high volatility, but set it's weight low and set the secondary to low volatility with a high weight to get large areas of relatively flat land with few, large, chaotic pieces of land. This idea comes from Wickity's Terrain Tweaker, but I didn't like the idea of just replacing water with mud (think that's what his code was doing at least). So I took that idea and implemented it differently so that all dirt/grass/sand at the bottom of bodies of water are changed to mud or clay depending on which you choose (mud will override clay if both are true). 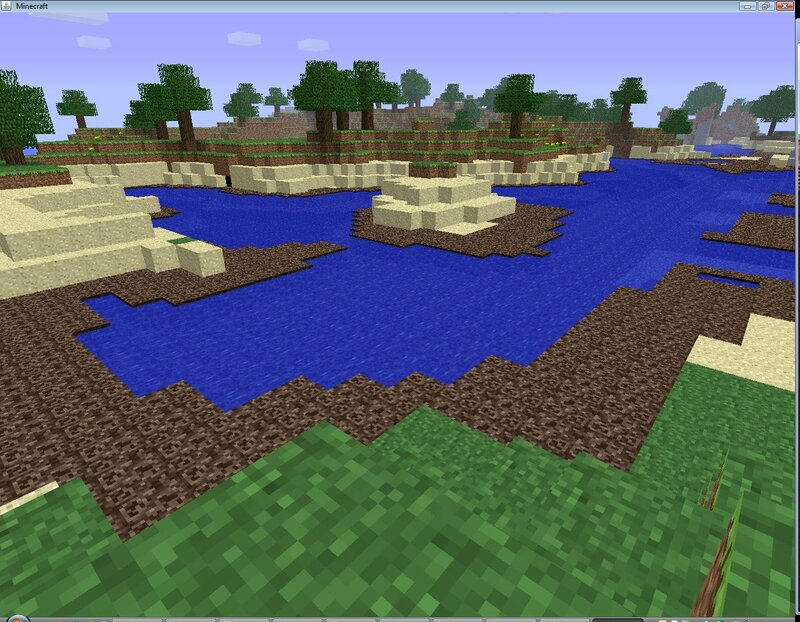 The size setting affects how far mud/clay extends from the edges of water in swamp biomes. There's a bug with the code right now that I haven't figured out that is causing "strips" of mud/clay to occur along the edges of chunks. Also, no sure if I am satisfied with the current result and may work on this some more at another time. This will, simply, prevent any water from showing up in desert biomes. This applies to both desert and ice desert biomes. Thanks to Wickity for the idea and implemented it at the suggestion of a poster in this thread. Set it to "true" to keep your deserts water free. 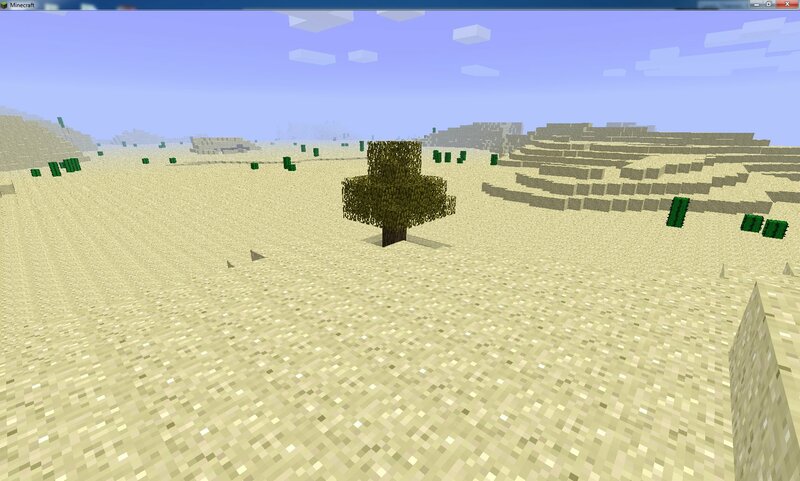 I implemented this because a number of people have mentioned wanting only desert biomes. The obvious problem with this is no trees because there is no dirt. Setting DesertDirt to "true" and adding a frequency (the number, n, for DesertDirtFrequency corresponds to an average of 1 dirt square per n chunks). These two settings can be coupled with increasing the TreeDensityDesert setting to get trees in the desert biome. Pretty straight forward option that was implemented since someone reported seeing dirt/grass on the surface in a desert biome that was altered with volatility and height settings. This simply checks the surface blocks and any dirt or grass is converted to sand. Will attempt to replace all surface stone with the nearest dirt, grass, sand, gravel, or clay type block that it finds. 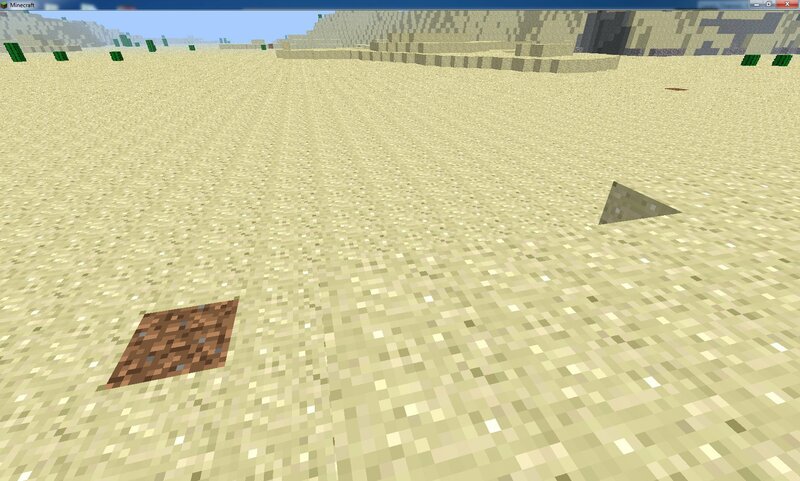 If it fails to find a suitable neighbor block to replicate, it will default to sand in the desert biome and grass in every other biome. Does what it says. All water becomes lava. Same as above except that it replaces ice with lava instead. These settings adjust the levels as which pockets of lava will form. 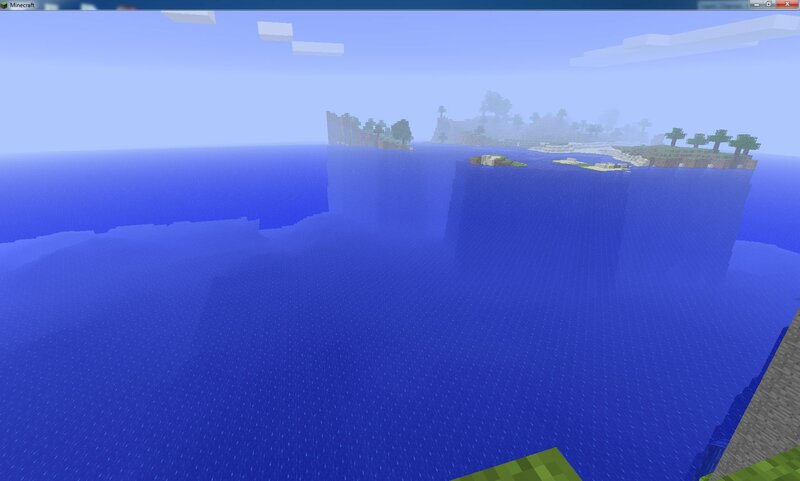 This will remove all bedrock from the map when set to true. 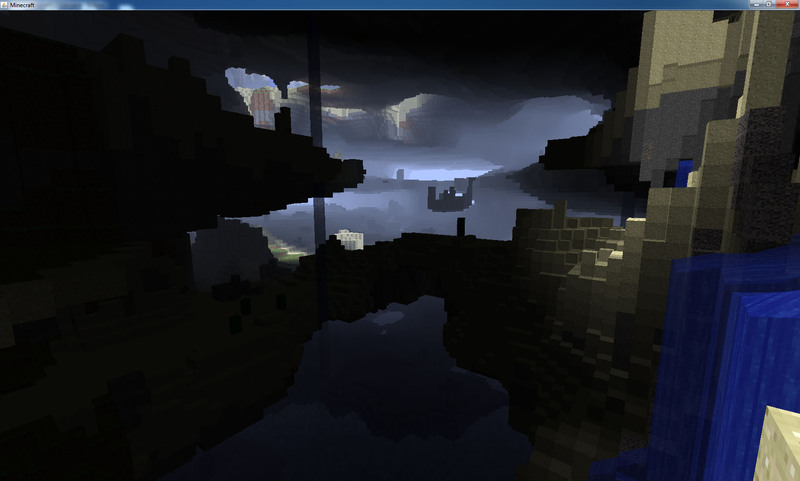 Implemented from Cadde's ore distribution mod. It simply puts all the bedrock on the bottom most layer of the map with no holes in it. Also implemented from Cadde's ore distribution mod. This keeps the bottom five layers of the map permeated with bedrock blocks, but makes sure that the bottom layer has no holes in it so that you don't have to worry about falling into the void. Simple setting that just replaces all bedrock with obsidian. Enables or disables the generation of underground lakes. This replaces Cadde's original underground lakes. 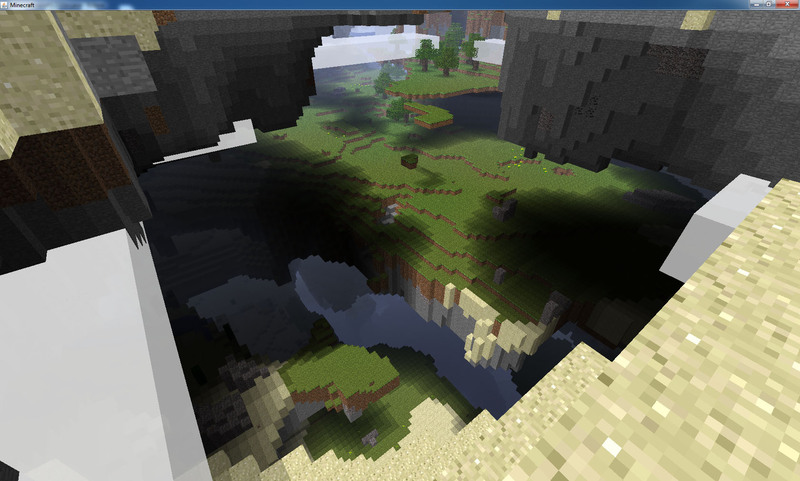 The new algorithm can create massive underground lakes (see settings below) with a flat water surface, varied depths, and open space over the lake. These are the options for the new underground lake algorithm. UndergroundLakeFrequency adjusts how frequent underground lakes will occur in a chunk. UndergroundLakeRarity sets the odds that an attempt to make a lake will succeed. UndergroundLakeMinSize and UndergroundLakeMaxSize set the range for the lake size to vary between. UndergroundLakeMinAltitude and UndergroundLakeMaxAltitude set the levels between which lakes will form. 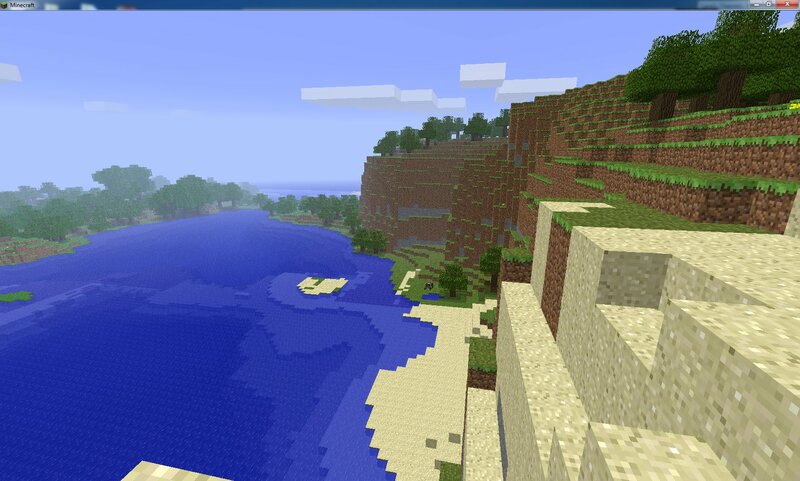 Changing this to true will implement Wickity's biome trees. It add pine tree, shrubs, and tumbleweeds to the world. The current pine tree models are from  Chuck's Map Deleter / Pine Tree Generator] and credit goes to Wickity for the shrub/tumbleweed models. I plan on working with the models myself later to create more tree types and modify the existing ones, but I'm using these guys' models in the mean time. I also want to add in option for allowing how prevalent certain tree types are and, possibly, which biomes they appear in. Pretty straight forward, it modifies the tree density across all biomes (see below for individual, default biome settings for tree density). 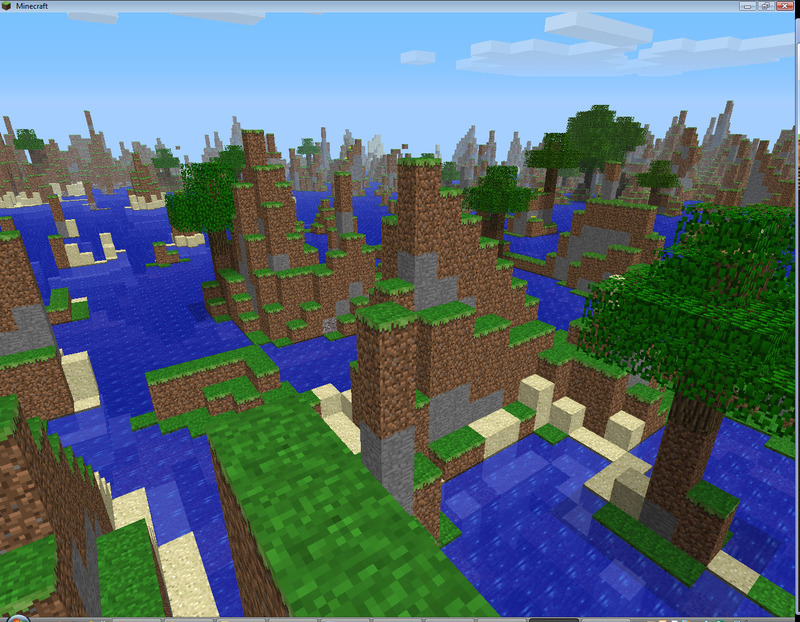 Again, this allows you to modify tree density, but on a biome level. You can see the biomes that are not supposed to have any trees have a relatively large negative value to ensure that no trees spawn. 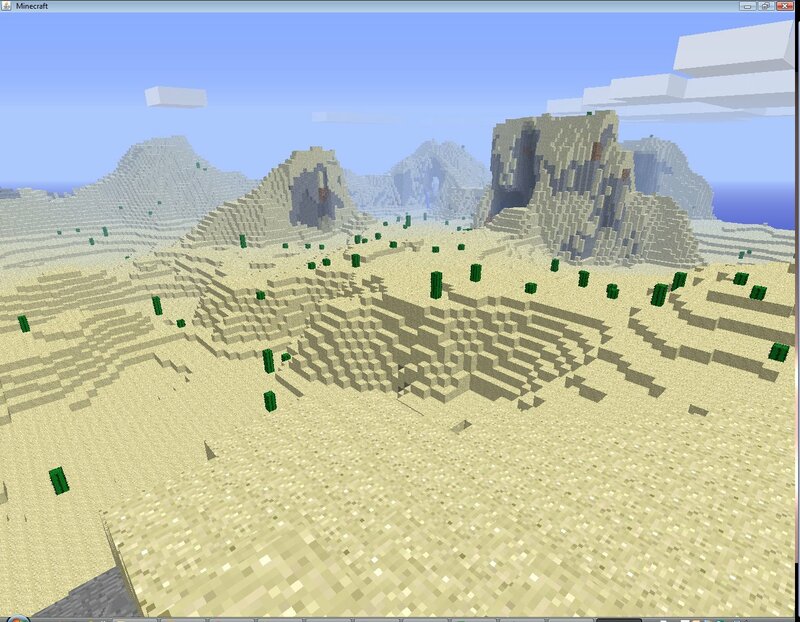 These settings adjust both the global cactus density of all biomes and the one special case of cactus density in the desert biome. Enable this to use Drakona's Marble Mod. You must have his mod installed for this option to do anything. Explanations and examples of the settings (default values shown) from "depositsettings.txt"
Yeah that's a lot of settings and that's just for dirt. 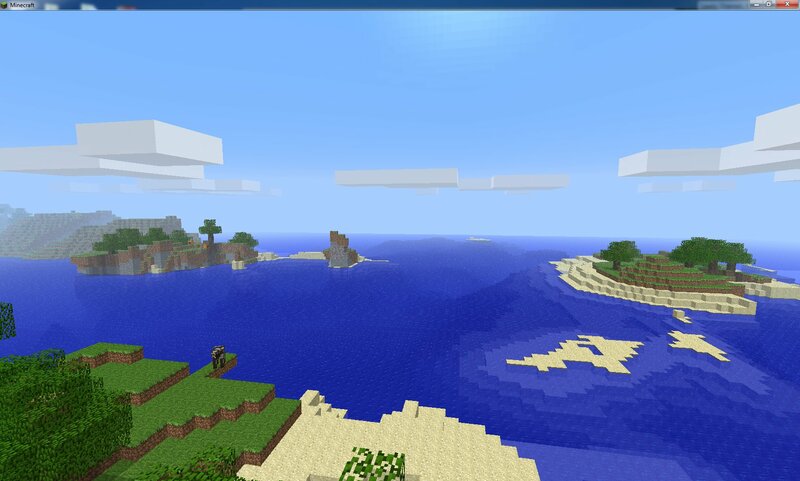 The same settings are available for gravel, coal, iron, gold, redstone, diamond, flowers, mushrooms, reeds, pumpkins, and cacti, water sources, and lava sources. and the highest level (MaxAltitude) to which it can be found (0 to 128). There's four sets of these settings for gravel, coal, iron, gold, redstone, and diamond to allow you a lot of control over how you want your resources to appear on your map. This replaces the alternate ore distribution setting (Cadde's ore distribution). BiomeTerrain Mod v9 * Added snow and ice threshold settings, replace ice with lava, min and max lava formation levels, rewrote the underground lake code and added settings for it, global and desert cacti densities, spawning settings for flowers, mushrooms, reeds, pumpkins, cacti, and water and lava sources. 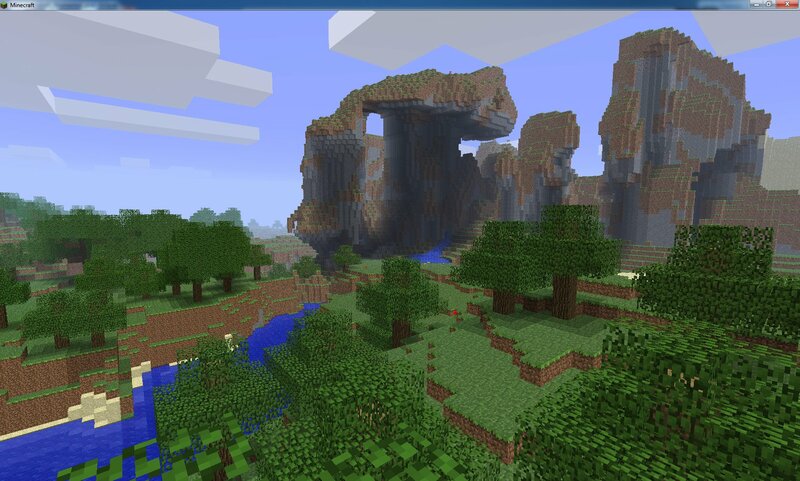 BiomeTerrain Mod v9.1 * Fixed cactus generation, fixed clay swamps, added first revision of savanna trees. This page was last edited on 11 June 2018, at 14:14.